Firstly, thank you very, very much to our Patreon contributors. We are always looking to show our appreciation for your generous support. 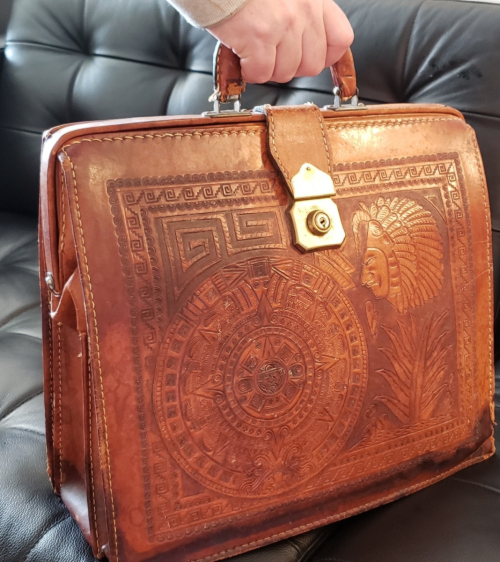 For the current 30 days (till May 15th) we have Director Budd Boetticher's western satchel-style bag. 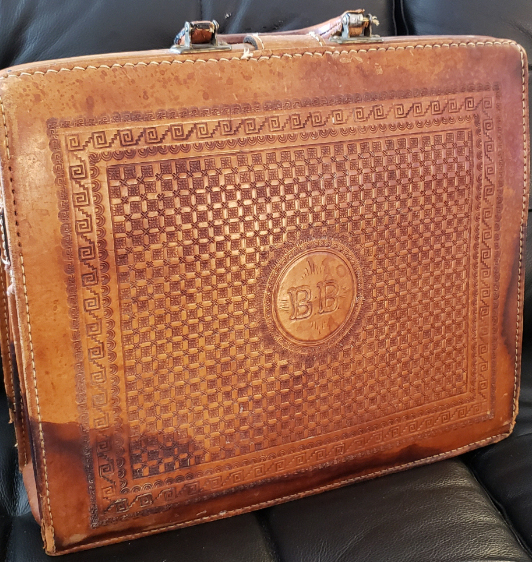 It is personalized with his initials 'BB' on the back and as provenance comes with three of his old passports and some photos (with Scorsese etc.) - which will be included for the winner. Good luck! These monthly Silent Auctions have a secondary purpose and that is to encourage more patrons - we need about four times as many as we have now since implementing the Patreon donation program initiated January, 2019. We are talking about a minimum of $0.10 - $0.15 a day, perhaps a quarter (or more) to those who won't miss it from their budget. It equates to buying DVDBeaver a coffee once, twice or a few times a month. 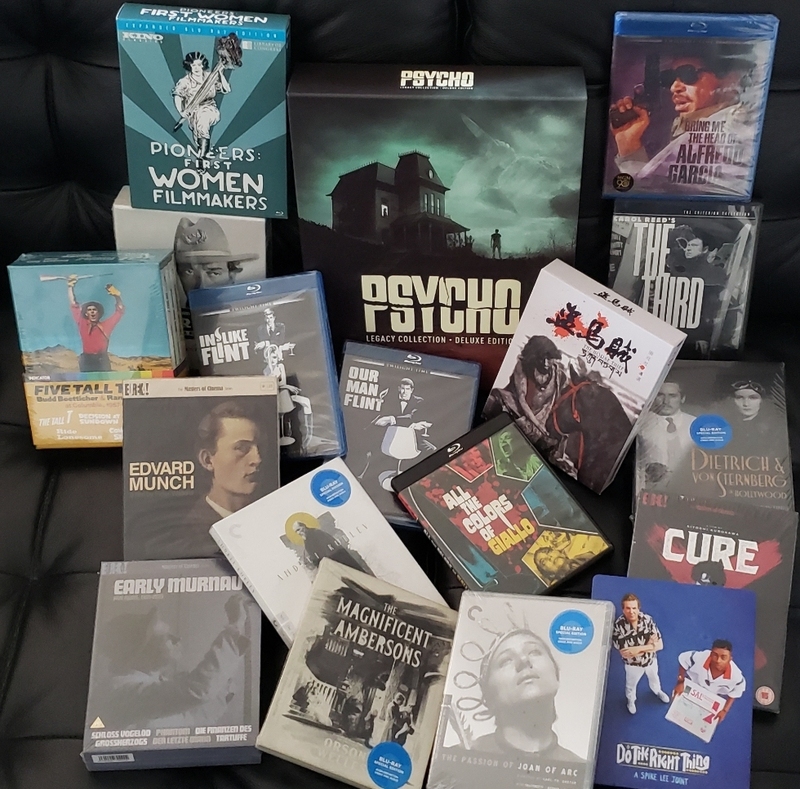 Then we would be pleased to welcome you to partake of these Silent Auctions hopefully allowing you to obtain some, often out-of-print, hard to obtain or large-package titles. The current Silent Auction will expire on Wednesday May 15th, 2019 (midnight EST). All current Patreon contributors are welcome to send in a bid (please make it the best price you'd be willing to pay and include a nominal amount for shipping). Email your HIGHEST bid (one per Patron) to: patron@DVDBeaver.com or HERE. Any new contributors going forward are also welcome to participate in the Silent Auction. Thank you!